The Plovdiv Municipality has received a donation of 12 wheel chairs, 8 toilet chairs, special bed for disabled, crutches, walkers and other facilities for disabled. About 10 needed ones are going to get that donation. On December 6th, Wednesday, the Mayor, Dr Chomakov will hand the donation on a special ceremony in the union of Disabled People. 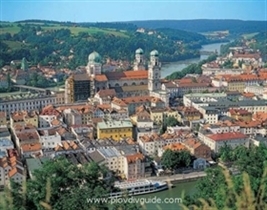 This is a kind donation by Zlatka and Daniel Bensch from the German town of Passau (see Passau on the photo above) through the 'Plovdiv Citizen Club' and the 'Plovdiv Revival Foundation'.